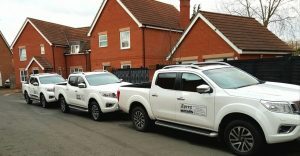 We provide a range of garden services for gardens owned by private individuals, management companies and commercial establishments. All our garden maintenance programs are run on a weekly, fortnightly or monthly basis, whichever is most convenient for you. We also provide a landscaping service to transform your garden. This includes patios / fencing / turfing / brick walls / beds & borders and much more. Epping / Loughton / Woodford Green / Theydonbois / Chigwell / Northweld / Ongar / Roydon / Coopersale / Abridge / Chingford / Buckhurst Hill / Waltham Abbey and includes gardens and estates of all sizes. Please contact us if you would like a quote from a reliable and thorough team of gardeners. Now with three generations to its name.